Equity Painters, your Abbotsford painters, is proud to provide strata painting services throughout the Lower Mainland and Fraser Valley area. We also offer a variety of services including drywall repair and power washing for your convenience. Our strata painting services include both interior and exterior painting for strata complexes of all sizes and construction. We understand that multi-unit complexes mean lots of residents and lots of questions and concerns, especially when it comes to large maintenance projects such as painting. Whether it is part of the exterior grounds or the interior common areas, painting can be disruptive to those living in the building and complex. All of our strata projects are based on clear and strong communication with the strata management, council, and residents in order to keep the details of the project and the progress of the schedule. Regardless of the size of your building, there may be need for specialized equipment and safety requirements in order to meet your strata laws and policies. Equipment such as aluminum or steel scaffolding, cherry pickers, etc. may be required to paint high rise units. There may also be requirements by local councils and other government bodies in painting high rise units. 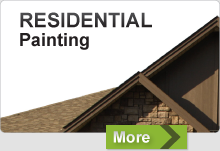 It is our goal to provide your residents with assurance that our Langley commercial painting team members, Equity Painters, are highly-qualified painters that will do the job properly and conduct ourselves professionally, giving you and your homeowners sound peace of mind. 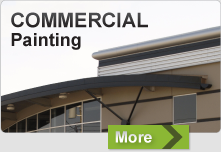 When painting for Strata buildings and complexes, a main concern is staying within budget. Maintenance fees are getting higher and higher and any maintenance work can have a serious impact on them. Correct specifications of materials and efficient work crews can help with that. Another concern is the possibility of interrupting the enjoyment of the facilities by the residents. Equity Painters are thoughtful and caring not to interfere with the every day use of the outdoor common areas. Noise is kept to a minimum, paint flakes and other construction mess is cleaned daily. Garbage chutes, doors and utility closets. Townhouse complexes and corporations also have many common areas that need regular upkeep and painting. Timely completion of the painting work is always important. Depending on the size of the project and British Columbia’s unpredictable weather, it is not unusual for such projects to alter scheduling. Flexible scheduling and short term response by Equity Painters to any bad weather situation can help. For more information on how our Chilliwack painters, Equity Painters, can assist in servicing your Strata complex, please contact us at 604-819-2824.